Help I was installing a new program on my computer and now I have a blue screen. What do I do? How many times have you heard this happen or maybe even had it happen to you. Read on in this week's blog to learn the importance of backing up your photos. Take some time to get it done before it's too late. Catastrophic failures happen every day in life. From hard drive failures on your computer to the tragedy of a house fire, and almost every time one of these unfortunate events takes place the words you hear most are "What about all my pictures." 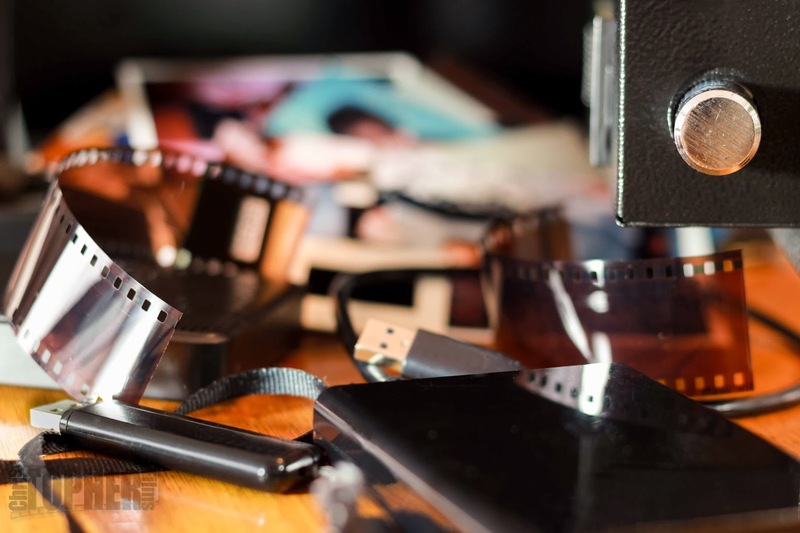 We are a very visual species and we cherish our memories that are usually immortalised in a photo or video and when we lose those we feel a great emptiness. Why is it then that we don't look after these things better? Today's digital age is allowing options for looking after our photos that never existed to our forefathers. I use my laptop as a first copy of all my photos. I then back them up immediately onto my external hard drive that stays in my laptop bag, when not in use, so if something happens to my home then I can hopefully grab that one bag and exit my home. From there I burn my photos monthly to DVD and have two copies. One stays at my home and the other off site. There are other options such as clouds, multiple hard drives, and others. What works for one may not work for another, a cloud for instance would not work for me due to the sheer volume of photos I would be trying to store. The important thing here is to remember have at minimum two copies of your cherished photos, you don't want to be a statistic of someone else who lost all their photographic memories. The second part of backing up your photos is keeping them organised. One way is create a catalogue system according to shoot date. 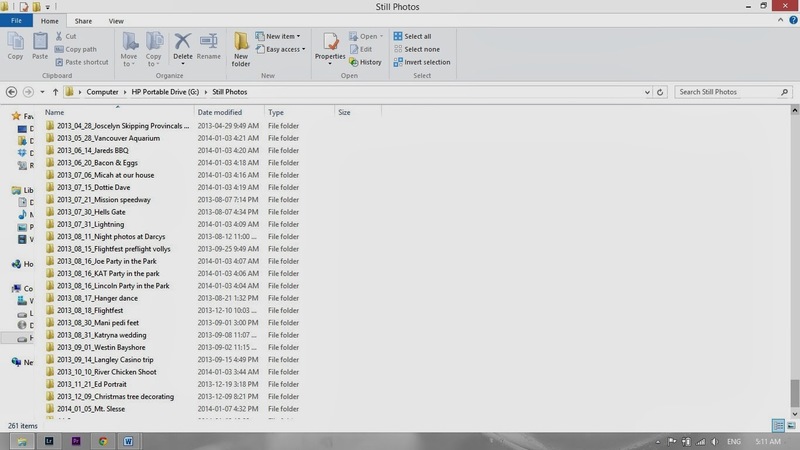 My system is to save all my photos on my laptop and external hard drive at the same time according to year_month_day_and description of the shot. You can see this below. Another great tool is a catalogue similar to Adobe Lightroom. With this program you can attach "keywords" to the photo making it that much easier to find it in the future. There are a number of catalogue systems available on the market today so finding one that fits your budget and needs should not be a problem. 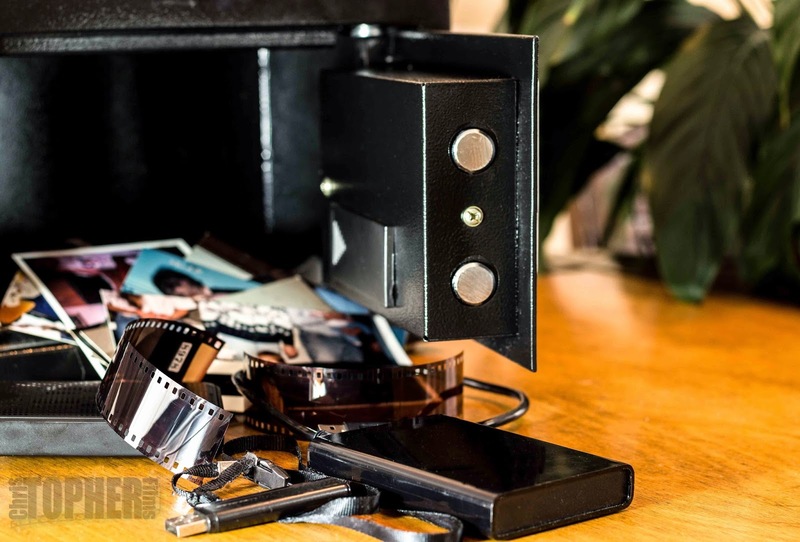 So there it is, several different ways to back up your cherished photographic memories. There is really no good excuse for not having them survive your most catastrophic failure, whatever that may be. Don't become a statistic and lose your great family memory.